With the coming autumn, the owners of cottages and chalets deal with two major problems - heating and security. Having a beautiful cottage in the wild, without the internet access sounds idyllic, but the reality is coming home to a cold cottage. Another problem is then appropriate security. The solution comes from ELKO EP, the Holešov company which calls into battle its multifunctional GSM communicator, which can not only switch the heating on remotely, but with the help of the motion sensor also control the alarm. The solution is ideal for those who have not established Internet in their cottage. For the complete solution, the user needs to have their mobile phone and a RFGSM-220M multifunctional GSM communicator. However, the GSM gateway can do much more. In addition to switching the heating, it also manages to control lights and offers several uses that can be combined with each other. With the 4 inputs, you can connect classic wire detectors (motion, door, smoke) to make the GSM gateway a security device. For each entry, you can choose any action and control output by ringing or sending SMS to your phone. At the same time it can make connections with conditions to devices. For example, if the motion sensor is activated at the input, the light / siren switches on for 1 minute, sending an SMS or calling the user. 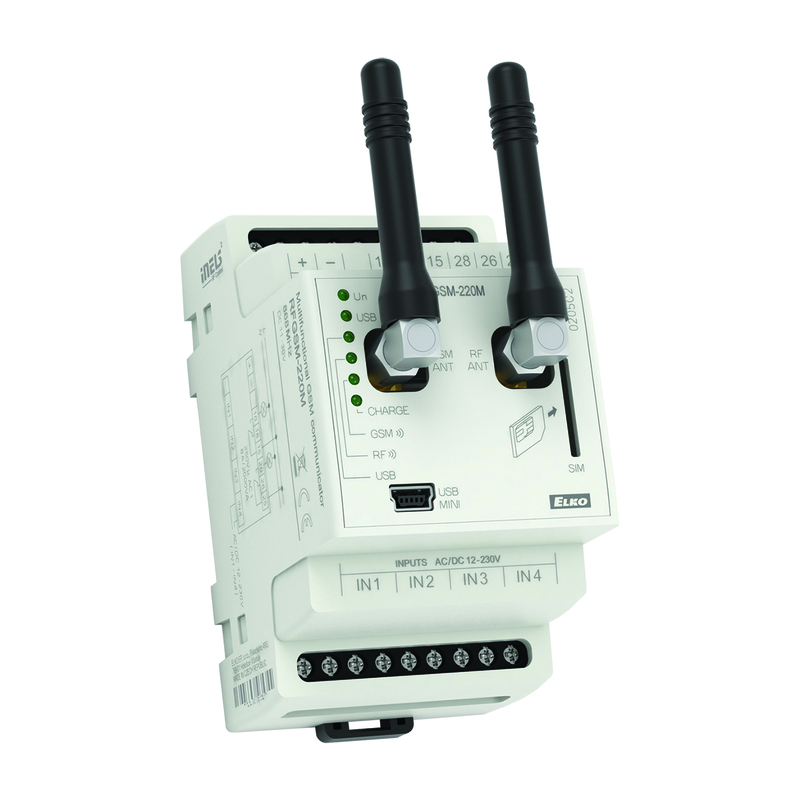 The RFGSM-220M has two internal relays that are controlled by ringing or SMS. Thanks to the 8A contacts for switching inductive and capacitive loads, they can be connected directly to the appliance, resulting in savings in the form of eliminating power switches, contactors and auxiliary relays. Each relay can respond to a time-delay ringer and the user does not have to think about shutting down. The multifunctional GSM communicator can remotely control up to 10 RF switching devices at a distance of approx. 50 m, which makes it possible to control devices even in inaccessible places away from the GSM gateway. It is also compatible with the Jablotron JA-80 wireless detectors, enabling the ARM / DISARM function via a key fob. Maximum power consumption: Standby 1 W / Charge and communication 18 W max. Recommended Price 5 453 Kč bez DPH.